You are now interested in both Pioneer AVH X390BS and Pioneer AVH X490BS. However, you are not sure about the differences between the two models. They seem to be very similar to each other. However, there is some price gap between the two models, so there must be something. Find out more about Pioneer AVH X390BS vs AVH X490BS below! First of all, the biggest difference between Pioneer AVH X390BS and Pioneer AVH X490BS is the display size. Both receivers have touch screens. However, you may have noticed that the X390BS has a narrower display screen than the X490BS. Don’t forget to take a look at the complete Pioneer AVH X390BS Review here! Which is true.Pioneer AVH X390BS has a 6.2-inch display screen with 800 x 480 WVGA resolution. On the other hand, Pioneer AVH X490BS has a 7.0-inch display screen, also with WVGA resolution. Due to the increased display size yet unchanged resolution, the image quality may be a little less sharp, but you probably will not notice the difference. However, you can indeed notice the improved ease of use. The larger touch screen allows you to hit the right buttons more easily. You can also read the displayed information conveniently. Both receivers have backlit display screens, so they are readable at night and in any dim environment. Next, you can see that Pioneer AVH X390BS and Pioneer AVH X490BS have different button layouts. The physical buttons on Pioneer AVH X390BS are on the left side of the display screen. There are buttons for adjusting the volume and buttons for previous/next tracks. Interestingly, the buttons are actually larger than those on Pioneer AVH X490BS, so these buttons are easier to reach. On Pioneer AVH X490BS, the buttons are placed on the bottom of the display screen. However, the buttons are smaller. They need to be made smaller in order to make enough room for the display screen without increasing the physical size of the receiver. Unfortunately, the smaller buttons are a little more difficult to reach. Both models have customizable display screens. With either model, you can customize the background and color. There are also brightness control, illumination timer, standby mode, and display off mode. However, there are two additional features on Pioneer AVH X490BS, which are the motorized display and last angle memory. The motorized display enables you to read more comfortably. The other features are similar. Both receivers have built-in Bluetooth, SiriusXM, Pandora, and Spotify. They also have similar output power. Each has 4 built-in amps, and each amp has 50 Watts of power. Performance-wise, both receivers are great. They can deliver impressive sound quality. 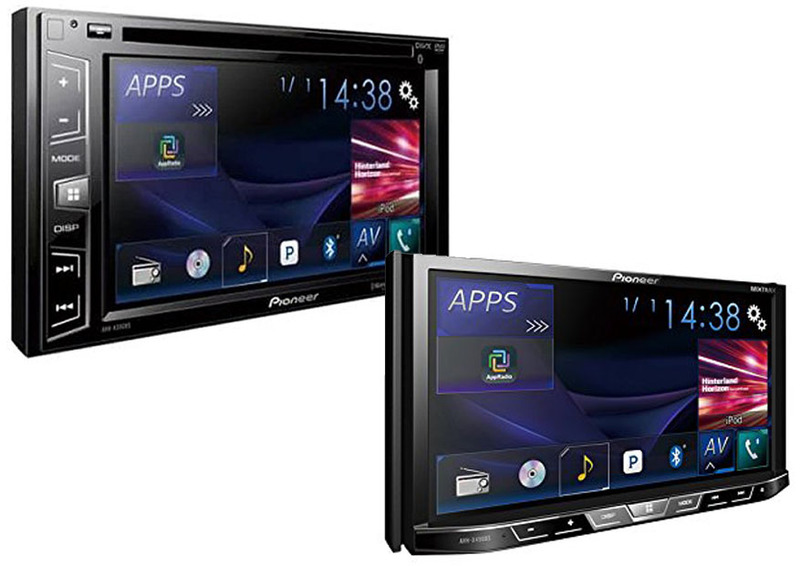 We recommend you to choose Pioneer AVH X390BS. This model has similar output power and sound quality as the X490BS. It has a smaller display screen and lacks some additional features, but those additional features are not important. Pioneer AVH X390BS gives the best value for the money.